Lightweight, more efficient rechargeable batteries are the secret to the success of cordless tools. The popular Lithium-Ion (Li-Ion) cell delivers improved performance and doesn’t contain the hazardous chemicals found in Nickel-Cadmium (Ni-Cd) and Nickel Metal-Hydride (Ni-MH) cells. One of the leaders in this technology evolution is Makita USA, a manufacturer of high-quality industrial power tools and accessories. The company has over 65 cordless tools in its expanding 18V LXT platform. Its Li-Ion battery power tool charging systems were the first to earn the ENERGY STAR label from the U.S. Environmental Protection Agency. Its cordless outdoor power tools help landscapers transition from gas-powered string trimmers, chainsaws and leaf blowers to 18V and 36V Li-Ion cordless platforms. Benefits such as fast and energy-efficient battery recharging, zero gas emissions, reduced noise and decreased maintenance have helped Makita’s customers experience less downtime, greater productivity and better satisfaction with cordless power tools. As Makita expands the use of rechargeable batteries in its cordless products, the company also remains committed to recycling the used batteries. Makita was one of the first supporters of Call2Recycle® in the mid-1990s. It launched one of the first rechargeable battery collection programs for its customers, and experimented with different ways to package and ship the used batteries to Call2Recycle. Makita features the Call2Recycle Battery Seal on each of its rechargeable battery packs. The Seal reminds customers that Makita supports responsibly recycling the batteries they introduce into the marketplace. In addition, battery recycling information is featured on the Makita web site and in its cordless tool manuals. Makita has seen an upward trend in total rechargeable battery collections for the past decade. Collections have totaled approximately a half million pounds, with approximately 82% of the collected batteries being Li-Ion and Ni-Cd. 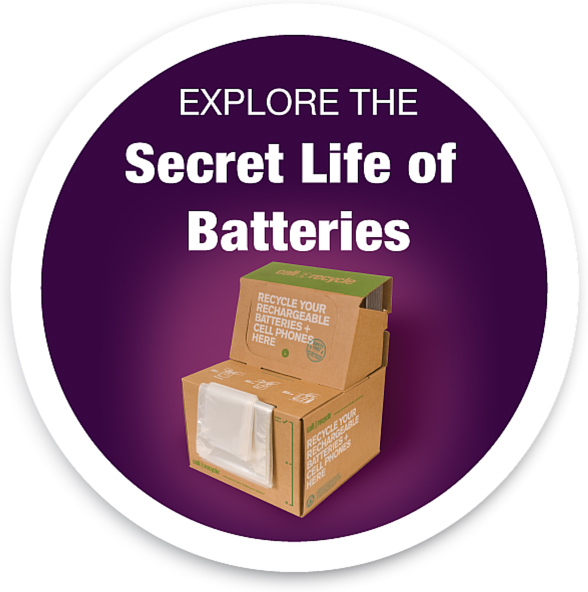 Between 2010 and 2012, Li-Ion battery collections jumped 37% and made up about 75% of batteries collected. In 2012, Makita was recognized for its efforts to steer hazardous materials away from local landfills with a Call2Recycle Leader in Sustainability Award. This award is given to companies that show a strong commitment to sustainability.